Germany is an affluent country, and yet there are more and more young people without permanent residence or living on the street. Many are stranded in Berlin. At first glance it looks like an adventure playground. Motley tents and shacks, graffiti, young people sitting in folding chairs under trees and greeting you with friendly words. But the illegally occupied wasteland on the riverside somewhere in Berlin is not so romantic as it might seem. Although many of the people here have chosen this style of life, others are here because they find themselves in acute distress. They fear being recognized because, if they were, their lives could become even more difficult than they already are. Therefore place and people will here remain anonymous. Roberto lives in all weathers in is tent | © Andrea Marshall That this life is stressful you can see from the appearance of the young man with very short black hair: he is lean and seems to be under strain. He ended up in Berlin in search of work, and because he likes to travel, Roberto says. Previously, he had continued his university studies in philosophy in Turin and jobbed as a Spanish teacher, then worked half a year in London as a waiter. In both cases, however, with a permanent residence.That he does not return to his home country of Spain is because of the high youth unemployment there: in April 2016, 45 per cent of young Spaniards were without jobs. And then there are the difficult family relationships: father architect, mother engineer, but when the marriage fell apart the five children became involved in an ugly divorce battle. The father meanwhile has died; with his mother, Roberto wants nothing to do. He prefers to live in all weathers in his tent in Germany. 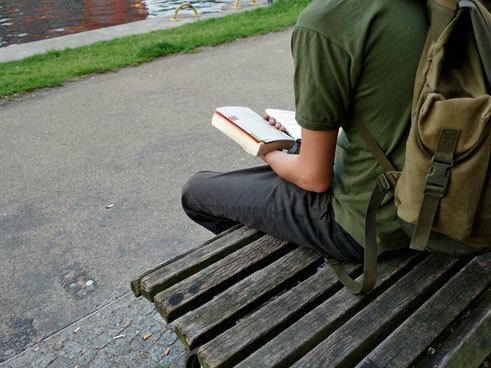 Roberto belongs to a special group of the young homeless: those without a German passport. Many founder on the German bureaucracy, explains Anett Leach of Klik, which looks after this group. The problem: the foreigners seek work, but for this need to register with the authorities. For the registration, in turn, proof of fixed housing is required. But only those with a job can afford housing. “It’s a vicious circle”, says Leach. 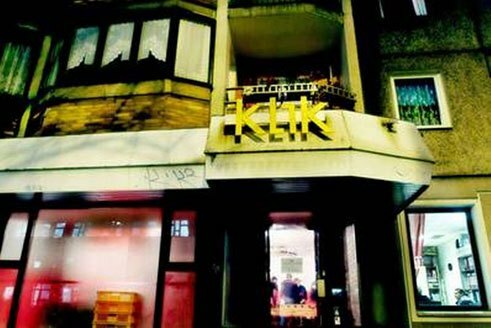 Klik – Drop-In Centre for Young People on the Street in Berlin | © Isis e. V. Only those who find an employee or landlord willing to sign a contract without security make any headway in official channels. The others scratch along with illegal employment at starvation wages on, for example, construction sites, or by collecting returnables, begging, selling newspapers or crime. As a Spaniard and therefore an EU citizen, Roberto actually qualifies for state assistance in Germany. The authorities, however, refuse to pay. No wonder that Roberto says: “My biggest wish? That I soon can register.” Until then, he makes himself useful with small jobs at Klik. There are an estimated 400,000 homeless and shelterless in Germany. Among them are more and more young people, writes the German Youth Institute. A study in 2015 speaks of 20,000 “decoupled” people up to the age of 27: they do not go to school, have no jobs, get no help from the state. Many slip into homelessness and drug addiction. “You don’t see these people on the streets”, says the social worker Ines Fornaçon of the Berlin Streetwork Station Off Road Kids. They do not sleep directly on the streets but at various friends’ flats, sometimes for years. They are called “extreme couch surfers”. They have moved their social contacts to the Internet: “You meet one another at WhatsApp, not in public places”, says Fornaçon. In this way a hidden homelessness has come about. She has been observing the trend for ten years. 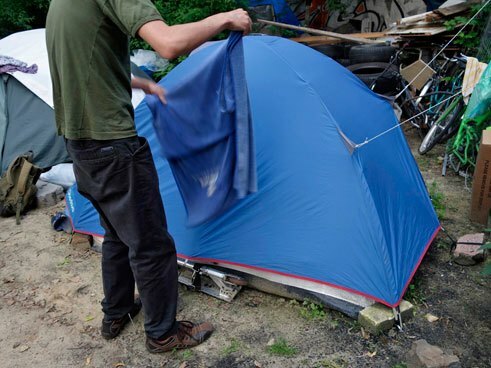 In Germany it is rarely poverty that drives people into homelessness. Most of those affected have been the victims of neglect, abuse or violence in the family. “Withdrawal of love exists in all classes”, says Fornaçon. The youngest homeless are about 13 years old and have run away from home, children’s homes or foster families, according to the contact and counselling centre KUB, which looks after 13 to 20-year-olds living on the streets of Berlin. There were exactly 555 of them in 2015. Many come to the capital from other regions of Germany. Their condition is often pathetic: starved and malnourished, rundown and without ties. Drugs, crime and prostitution increasingly define their daily lives. Aid organizations try to enable these rootless young people to develop a regular life. Social workers meet them at Berlin hot spots, at counselling centres or in Internet chats. The young people are offered emergency relief in the form of medical care, food, clothing and overnight shelters. While the youngest among them are carefully taken under the wing, including creative activities such as theatre, music and drawing, the young adults receive above all help so that they can help themselves. Some then manage the return into society. Others disappear. Their fates remain unclear. Roberto wants to be able to read the works of German philosophers in the original some day | © Andrea Marshall"
Roberto wants to continue looking for work and a flat in Berlin. By the coming of the harsh Berlin winter at the latest, a solution must be found. One bright spot is the upcoming German course, which the supervisor at Klik has arranged for Roberto. The former student of philosophy also wants to learn German so as to be able to read the works of German philosophers in the original. His long-held- dream is to work as a teacher in future – in whatever country he can. Can anyone become a homeless person? Do you know young people who are homeless? 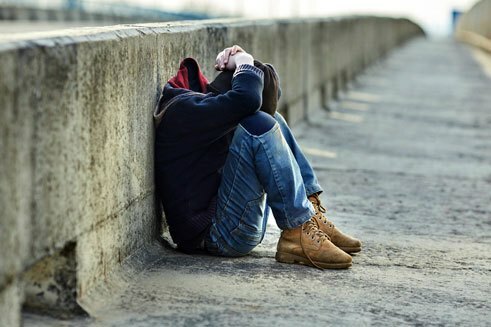 What is the situation of homeless young people in your country? Share with us your experience. Andrea Marshall is an editor and journalist in Berlin. She is also involved in the training of young journalists in Africa and Asia. Copyright: Text: Goethe-Institut, Andrea Marshall. This work is licensed under a Creative Commons Attribution – Share Alike 3.0 Germany license.